This autumn, the Centers for Disease Control are asking health care providers to be more aware of a different type of fall—the kind that causes 27,000 deaths each year. Falls are a leading cause of injury and death among older Americans, and safety advocates are increasingly referring to the matter as a public health issue. In light of those statistics, the CDC launched an initiative called STEADI—Stopping Elderly Accidents, Deaths, and Injuries—one it hopes will spur a culture of fall-prevention among health care providers. Brochures for all stakeholders in an older American's life—providers and patients, as well as caregivers. Do you have a family member or loved one who lives in a nursing home or who will soon require care? If so, the risk of them taking a tumble while in their care should be on your radar. This is especially true in Pennsylvania, where the state's nursing homes consistently get failing grades from national advocacy groups. The CDC is working with health care providers to make sure they are keeping seniors safe. We wanted to go a step farther, and tell you how you can help, too. Ask the right questions – When speaking with a loved one's medical provider, be sure to ask about fall prevention. Also inquire about whether any of the medications they are prescribed could increase their risk of a fall. Encourage honesty – Here's a scary statistic: One in four older Americans suffer a fall each year. Yet, fewer than half of them report that they fell. Make sure your parent or loved one knows how important it is to tell someone if they’ve taken a tumble—even if they think it isn't a big deal (because it very well could be one). Check those peepers – For aging Americans, clear vision could help lead to a fall-free existence. Make sure your loved one sees the eye doctor once a year. That way, prescriptions can be adjusted before poor vision leads to a slip, trip or a fall. Seek strength and balance – Look for fitness programs that can help your loved one improve their strength and balance—they go a long way in preventing falls. 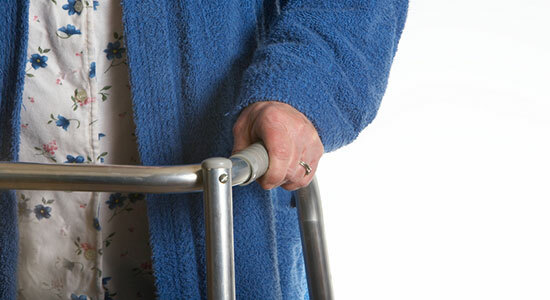 Be aware of hazards – If your loved one lives in a nursing home, make sure there are no tripping hazards in the room. A misplaced item or a low-hanging blanket edge can make the difference between a walk to the dining room and a trip to the doctor for a trip-and-fall injury. Falls can sometimes happen even when you've taken all the precautions (accidents, as they say, do sometimes just happen). Unfortunately, though, many falls that happen in nursing homes, are not accidents. Many times, they are the result of negligence. If you or someone you love was injured in a slip-and-fall you believe was caused by the negligence of a healthcare provider or nursing home, don't delay—call our nursing home abuse attorneys today. The case review is free, and there's never a fee unless we get money for you.